IT professionals will help you discover specific business needs that you may not even be aware of. If these needs are not addressed, they can affect your company’s overall productivity and hurt your bottom line. Today’s businesses rely heavily on computers. That’s why most entrepreneurs invest in the best computer hardware and software that their money can buy. Because of this, they expect everything to run smoothly and all their IT needs to be met with the use of these wonderful computers. In reality, however, you wind up experiencing a weak internet signal, your web browser won’t load, or you can’t get your email running. All these occurrences cost you valuable time – time you can’t afford to lose. 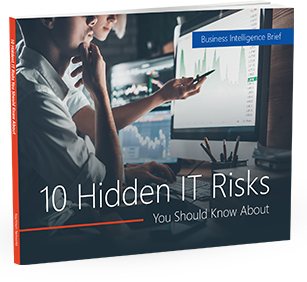 You can avoid these incidents by using Managed IT Services. Our professionals will conduct a comprehensive analysis of all your existing IT processes and functions. We will gather facts from what you have experienced with your systems, and assess which have been proven to run efficiently and produce the most favorable results for your company. This will all be clearly documented as part of your overall business practices. As the documentation progresses, you may find out that your IT environment is not as efficient as you thought it was. You may also discover specific needs that you were unaware of. If these needs aren’t addressed, they could negatively affect productivity and result in a decline in revenue. In fact, they could even lead to expensive IT network emergencies if you don’t have the right technology and proper maintenance on hand. We understand these risks and challenges, and we’re here to assist you in assessing your needs through this documentation process. We can help you identify the right IT solutions that are best for your business, as well as provide solutions, including outsourcing certain network functions such as email, backup and recovery, and security. We’ll also help you maintain your IT network while making sure that all your systems are updated and running smoothly so that you can avoid system failure or downtime. Give us a call today to learn how we can help you get the most out of your IT investments.